So with the clubs 40k league due to restart soon (can't wait) I figured now is a good time to write about my new army. As anyone who knows me will know I have only played Dark Angels (with a brief dabbling in the 5th ed vanilla codex), I felt it was time for a change. I considered a good few armies before deciding. Tau, no as much as the army appeals to my sit back and pew pew approach to 40k I wanted to play something different and while Tau are stronger style wise it was a little too similar. Nids, the lack of allies put me off them I like the models and they are good fun but this army meant starting from scratch not the gradual build up I was looking for, also with a new book thought to be out soon I may have ended up having to re buy the entire army when it came out knowing GWs habit of making popular models useless. So why did I choose the Fallen (aka Chaos Space Marines)? Fallen are Dark Angels this means a lot of my current models will fit in perfectly well. They can ally with daemons, I like daemons I like the thought of a few fallen marines leading a host of the evil buggers. It also means a natural progession towards a daemon army is possible afterwards. Heldrakes, forget the fact that these beasties are OP (they really are, they are basically responsible for the lack of marine armies in the current meta), they are also in my opinion really cool models. As a big fan of the old Godzilla movies these flying mechanical dragons just brought back images of Mecha Ghidorah which meant I wanted one since the day and hour they came out. The Fallen is a major part of the Dark Angel fluff and an army of the creeps have been on my list of things to do since I read my first Dark Angel book. (I even bought the Chaos army book on release day for this very reason). So armed with a £100 amazon voucher I got awarded in work I decided to look at getting my army together. Firstly I didn't want to make the usual mistake I made which is just buying lots of models and make an army out of them, this is a crazy expensive way of making an army. So what models did I want, well Heldrakes are ofc first on my list. The current meta has seen a flood of Heldrakes with good reason they are very powerful flyers S6 AP3 torrent flamers with S7 vector strikes this is what Space Marine nightmares are made of. So I have fully embraced the cheese and went with 3 drakes. Next I thought about what I wanted to bring along with the flying menace, Necron flyers are the in thing according to most net lists and its hard to argue they get results. But although I brought in the cheese by embracing the drake I couldn't quite bring myself to go for the drakesycthe combo. Instead I looked at the chaos models I wanted to add, I like daemons what daemons could I add to the list. Well before I went to the ETC I come up with a concept of four flying daemon princes and three Heldrakes, not quite the Necron flying circus but a completely different flying circus. So here it is the list I've decided to build this is my basic list it will ofc end up being fine tuned over games and will ofc change each game when it comes to the league (can't let you all know before hand exactly what you will face after all muhaha). Well everything is being painted to fit in with my Dark Angels, so we're talkin Caliban green and leadbelcher though out the armour. 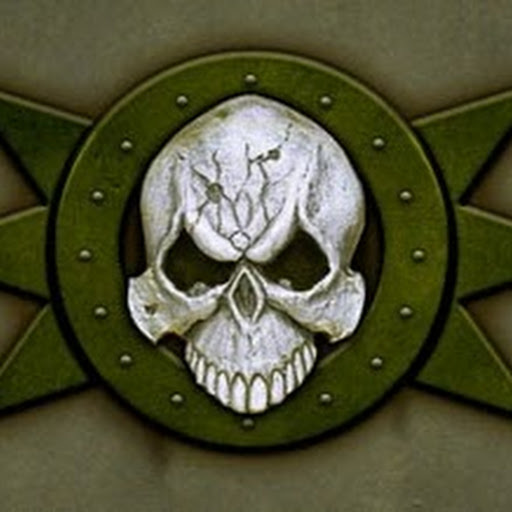 Basically everything the Daemon princes, the Heldrakes and even the cultists will be Dark Angels colours. Ok theoretically maybe Fallen Dark Angels should be wearing Black pre-Heresy armour but meh Liberties can be taken with these things haha. I plan on keeping a blog on this army showing models Tournaments and League games (maybe even some Battle reports!!!). So watch this space for more Chaos Lovin, Lion Hatin fun! Remember guys if you want to write a blog and post it here about your army (or even your 40k league campaign) drop me an e-mail at steve@lisburn-gaming.co.uk I would really love to post here about your armies :D.